Below is the content of a leaflet distributed by the Liverpool Friends of Palestine at the May Day march and rally in Liverpool on May 1st, 2017. Although in no way a supporter of the British Labour Party some of their membership might, at times, make declarations which should be supported. Although not very well expressed and defended even less well his attack on the crimes of Zionism should be supported. Increasingly Zionism is attempting to conflate attacks on the Settler State of Israel as an attack upon all Jewish people. Unfortunately the spreading climate of racism increases peoples’ fears and decreases their ability to see things for what they are. When it comes to Zionism and Israel it is the people of Palestine who suffer yet again. The ‘acceptance’ of the situation of the Palestinian people; the way they have been treated like pawns in an international game of power politics; the constant harassment, murderous military attacks and the imprisonment of its population by soldiers of the Israeli Settler State; the betrayals they have had to endure; and the endless empty promises to resolve the theft of their land is a crime for which those in the so-called ‘developed’ countries should hang their heads in shame for allowing to exist for almost a century. 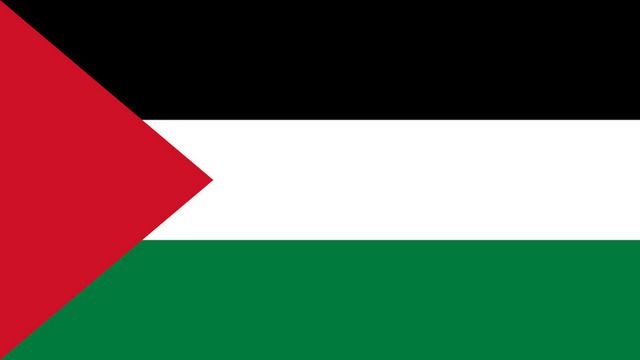 Without the freedom of the Palestinian people there will be no true freedom for the oppressed and exploited of the world. Early in April Ken Livingstone was suspended for a further 12 months by the Labour Party National Compliance Committee. He was originally charged with anti-Semitism and ‘holocaust revision’, either of which would have been reason to expel him if true. Neither accusation would stand up in a court of law, so it was no surprise when the Compliance Committee settled on “conduct prejudicial and/or grossly detrimental to the Labour Party”, citing “deeply offensive” statements on Nazi Germany. 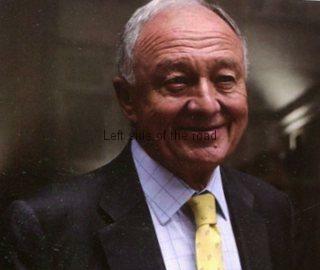 Zionist organisations keen to conceal the actual history of Nazi-Zionist collaboration, and anti-Corbyn Labour MPs, predictably condemned the decision not to expel Livingstone. Unfortunately, to their shame, Jeremy Corbyn and John McDonnell also attacked him, and with Len McCluskey’s support the case was referred back to Labour’s National Executive Committee. But upholding freedom of expression, and solidarity with Palestine, means defending the right to speak truthfully about history, even if it hurts. It is clear what Ken Livingstone did not say. He did not say that Hitler was a Zionist, nor that Zionism is equivalent to Nazism nor that the German Zionists, a small minority of German Jews in 1933 when Hitler took power, were complicit in the Holocaust. He did say that Zionist organisations collaborated with the Nazi regime which promoted them in opposition to the vast majority of German Jews who regarded themselves first and foremost as German citizens, not Jews. They wished to integrate into German society. The aim of Zionist Jewish organisations, on the other hand, was to persuade Jews to emigrate to Palestine. 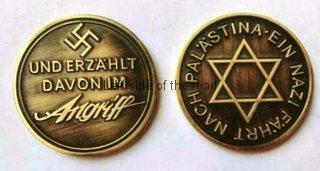 I saw Zionist organisations as part of the process. This conclusion is detailed by such eminent Zionist historians as Lucy Dawidowicz (War Against the Jews), David Cesarani (Final Solution and The Fate of the Jews 1933 -1949) and Francis Nicosia. The most notorious collaboration was the Ha’avara Agreement, originally proposed by a Jewish businessman in Palestine, and embraced by the Nazis as a means to puncture the world-wide campaign for a boycott of Hitler’s Germany. The Agreement was signed in August 1933 by the Zionist Federation of Germany, the Anglo-Palestine Bank, and the economic authorities of Nazi Germany. In early May 1933, Chaim Arlosoroff, the Political Secretary of the Jewish Agency, came to a preliminary understanding to extend Cohen’s arrangement. He returned to Tel Aviv and was assassinated because of his dealings with the Nazis. The Agreement was then signed, and caused an uproar when it emerged. We reject the view that Ken Livingstone is anti-Semitic. His statements on collaboration of German Zionists with the Nazi regime are broadly accurate. He has a long history of supporting the Palestinian struggle for freedom and justice, as does Jeremy Corbyn who has faced continuing opposition from Zionists within and without the Labour Party who want to silence the voices of Palestinians and their supporters. Corbyn’s victory on an anti-austerity, socialist platform also angered right-wing Labour members, MPs and the media. Research by the Media Reform Coalition concludes that “most newspapers [had been] systematically vilifying the leader of the biggest opposition party, assassinating his character, ridiculing his personality and de-legitimising his ideas and politics.” After his election as leader this alliance of Zionists and neo-liberals intensified their opposition, but their coup attempts failed to remove Corbyn. This statement is not anti-Semitic. Yes, it should have said 1933 and Palestine. But the Nazis, under Hitler’s absolute authority, did support the Zionist emigration policy and did explicitly favour German Zionist organisations. Criticism of Israel and of its founding ideology, Zionism, has been misrepresented as anti-Semitic. Antisemitism is a form of racist bigotry directed at Jews because they are Jews. By contrast, anti-Zionism opposes the political ideology which underpins the Israeli state. More than 40% of British Jews do not identify as Zionist. These escalating allegations of antisemitism are a response to the growing success of the Boycott, Divestment and Sanctions (BDS) movement in holding Israel to account for its crimes against the Palestinian people. Allegations of antisemitism have been used increasingly to discredit Israel’s critics. The intention is to suppress criticism of Israel and undermine freedom of speech for Palestinians and their supporters. Accusing Ken Livingstone of “deeply offensive” statements which are historically correct is outrageous. Discussing the actual history will offend some who see it as undermining the legitimacy of the Zionist project of creating a Jewish state based on the ethnic cleansing of Palestinians. In another era the white leaders and supporters of Apartheid South Africa were ‘offended’ by criticism of apartheid.